Fighting broke out between Kurdish and JAN forces in the village of Der Ballout and the areas around Atimah after JAN disapproved of trenches being dug by the Kurdish forces around Afrin and closed the roads in the area. Fighting between rebels and JAN continued today after yesterday’s kidnapping of 7 rebels from the 30th division in A’zaz including the division commander by JAN during the return of the rebel fighters from a meeting with other rebel factions to organize an attack against IS. International Coalition airstrikes target JAN in the vicinity of A’zaz. Reports vary between 4 and 8 JAN casualties. 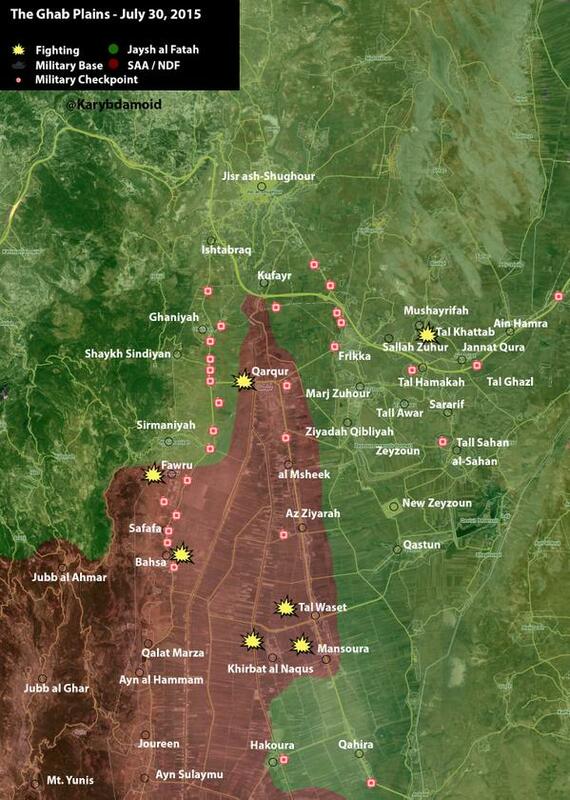 Map of the situation in Idlib. Image courtesy of @Karybdamoid. 16 civilian casualties during an SAA airstrike on the village of Saraqib. Around 150 citizens from Sarrin taken into custody by the Kurdish forces on the charge of being IS personnel. 10 casualties and 15 injuries sustained by the Kurdish forces in Sarrin after a suprise attack by IS in which a suicide bomber attacked the southeast district of the town. The suicide bombing was followed by heavy fighting during which 8 IS fighters were killed. Kurdish forces remain in control of the area. JAN was accused of kidnapping brigade 30 commander and 7 more soldiers in Aazaz during a meeting to coordinate attacks against IS in northern Aleppo Governorate. Rebels and JAN fight against IS forces in eastern Aleppo Governorate near the villages of Aazaz and Sawran. Reports of one rebel fighter killed during the fighting. NDF and SAA forces fight agains IS in Tell Aran, a Kurdish village southeast of Aleppo. 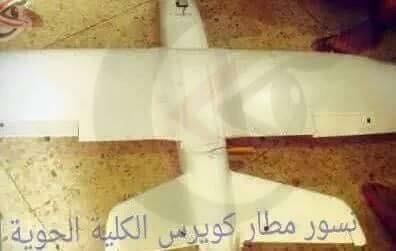 SAA shoot down an IS reconnaissance drone in Kuweyres Military Airport. IS drone downed in Kuweyres Military Airport. Image courtesy of @sayed_ridha. Two IS fighters managed to infiltrate a rebel building in Marea village, northern Aleppo Governorate. 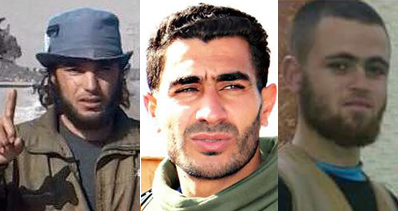 Both IS fighters blew themselves up with explosive belts causing the death of 2 rebel commanders and injuring more. Fighting broke out between Kurdish forces and IS on the eastern bank of the Euphrates River close to Sarrin. Reports of casualties on both sides. Rebels filmed an execution of a soldier belonging to the SAA alliance in Nubl and al-Zahraa after the SAA refused a prisoner exchange deal. 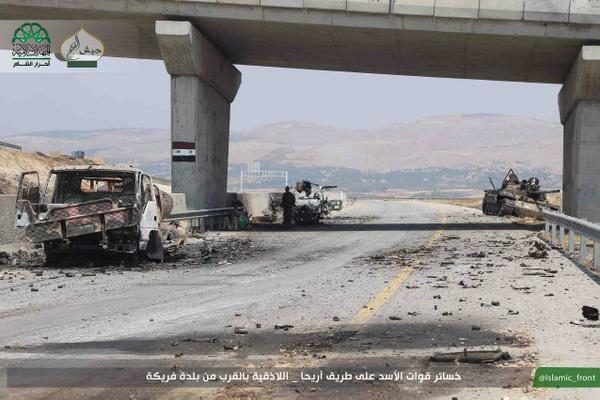 SAA vehicles strewn across the M4 highway after rebel offensive. Image courtesy of @archicivilians. Kurdish forces have successfully taken over Sarrin after heavy fighting against IS, thus assuming control of the east bank of the Euphrates River from Sarrin to the Syrian Turkey border. Turkish attacks targeting Kurdish controlled areas causing tensions to rise between the Kurdish and Assyrian general command and Turkey. Around 22:00 yesterday Turkish tanks fired rounds on the village of Zawr Mughar and the village of Tall Fendr. ‘… we all will rise up to defend ourselves against any attack from Turkey.’ – excerpt from a statement released by Assyrian Christians head of foreign affairs Rima Tüzün. 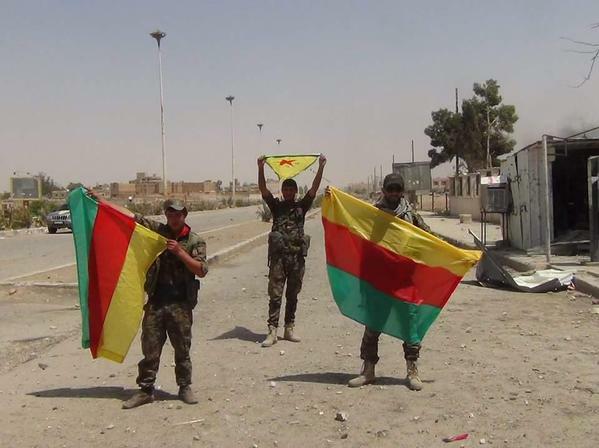 Kurdish forces raising their flags after considerable advances made in Hasakah. Image courtesy of @kovandire. IS forces did not manage to hold their positions in Hasakah and have now retreated to their final positions in al-Zuhour neighborhood where they will attempt to hold back the attacks of the Kurdish and Assyrian forces on one side and the SAA forces on the other. Unknown number of Kurdish / Assyrian casualties. A new offense by SAA against the rebel forces controlling the village of Aqrab. 4 rebel casualties and 3 SAA casualties. SAA soldiers killed in Der Khabeya during a guided missile launch by rebel forces. JAN and rebels started fighting the IS in Qalamoun. Reports of casualties on both sides. Zakaria AbdulRakhman al-Aboud. Image courtesy of smartnews. The number of rebel casualties has risen to 10 since two days ago during rebel operation ‘Southern Storm’ to restore control of Daraa. 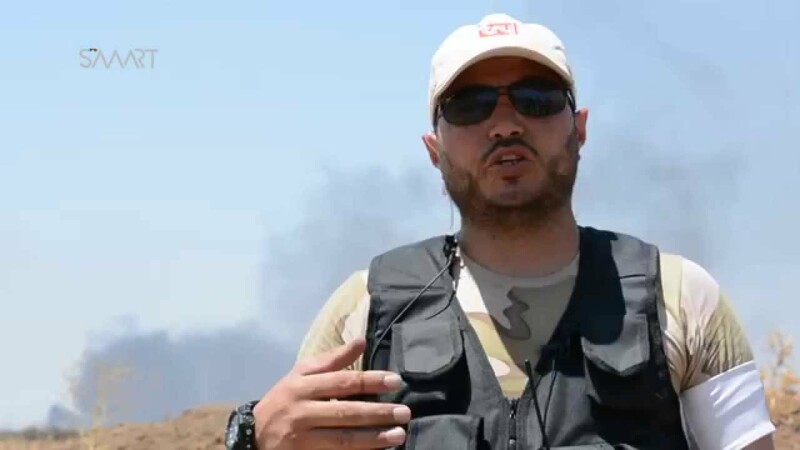 Commander of ‘Falloujah al-Houran Brigade’ Zakaria AbdulRahman Al-‘Aboud was killed during artillery fire by the SAA on the Elnaymah–Daraa front. Heavy SAA shelling of the towns and villages surrounding Daraa with more than 14 explosive barrel drops on al-Yadudah. Heavy fighting in the city of Daraa. Rebels announce the deaths of 3 commanders: battalion commander Saddam al-Jabouri, battalion commander Mohammad Abdelrahim al-Ghanem, and field commander Jalal Mohammad al-Masri. Casualties on both sides during the fighting. The fighting in Daraa is accompanied by heavy shelling of both sides. 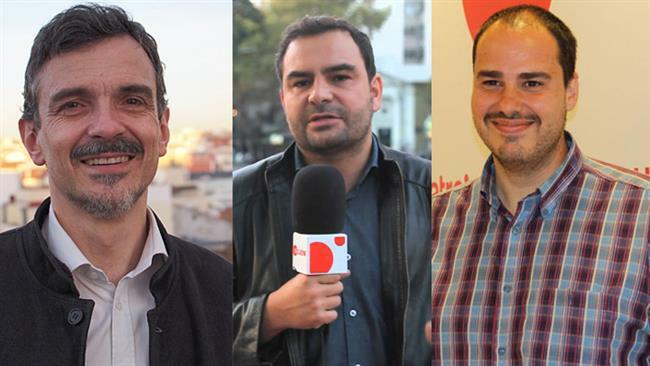 Contact with 3 spanish journalists in Aleppo has been cut off since 12/07/2015. 12 casualties during an explosive barrel drop in Kaser al-Buorije. Kurdish forces have fired heavy machine guns on IS locations in Sarrin. Rebels are shelling the Shi’ite towns of Nubl and al-Zaharaa, besieged by JAN. This shelling and that of Fu’ah and Kafraya in Idlib are said to be a response to the offense of Hezbollah and the SAA in Zabadani during the last 19 days.